Proverbs contain many poetical expressions that mirror the truth, and that’s why we must be careful to not lift out verses out of Proverbs (or Psalms), and make doctrines out of them. That could take us into all sorts of strange directions. A couple of guide lines to think about when reading Proverbs and Psalms, would be to 1) Make sure to not interpret the verses in such a way that we make God to be the author of sin, and 2) Make sure to not interpret the verses in such a way that they result in contradictions when compared with other more clear, non-poetic verses. Proverbs 1:6 To understand a proverb, and the interpretation; the words of the wise, and their dark sayings.7 The fear of the Lord is the beginning of knowledge: but fools despise wisdom and instruction. You will find many GENERAL instructions and promises in Proverbs, and below you will find some examples of this, with evidence of that the promises involved couldn’t possibly be understood as 100% valid for all people under the sun with no exception. When a person submits their plans to God, the Lord is faithful to ensure that his purpose will stand in his/her life – however, there is still a risk for physical pain even for true believers. Proverbs 20:24 Man’s goings are of the Lord; how can a man then understand his own way? The above verse doesn’t need not be interpreted in such a way so that God causes men to be wicked sinners. If every person’s steps are ultimately due to God’s predestination, then what do we do with the multitudes of verses that advise people from departing from the path of evil? Man’s life here on this planet might be beyond our grasp, and even if we believe we have a great understanding and know it all, we will still not see things as clearly as God does. What else is Proverbs 20 saying? So we’re sinning against our SOULS if we would happen to provoke a mere man – which a king is? Is it always true that children are blessed if their father walks in integrity? Has there never been one exception in our life time? Is this always true with no exception? Do we always sin? Is there not one minute during a day when we don’t sin? Do we sin even one minute after that we have repented for our sins? If that is so, what is the point with repenting? If God predestines all things, why does he cause abominations to occur? Does God want people to do abominable things since he forces them to do them? Is it always certain that people will end up in poverty if they like to sleep a lot? Is there not one single exception under the sun? Boy would it be strange if this was taken literally. Again, if things exist which are abominations before the Lord, is it according to his will? Would God predestine people to devour what is holy? What would be his reasons for doing that? Is this always true, with no exception? Proverbs 19:21 does not say that all the plans in the mind of a man are always predestined by God, but rather that when there is a confrontation between man’s plans and God having purposed something else, God’s way will always win. Proverbs 19:21 There are many devices in a man’s heart; nevertheless the counsel of the Lord, that shall stand. God can sometimes exploit even evil choices that people make, but this doesn’t mean he does this all the time or even often. I’d rather believe he does this very rarely, because he has set a time in the FUTURE to judge man’s heart, and to both punish individuals and give rewards to others. What else is Proverbs 19 saying? So it’s a SIN to hurry? Is it also a sin to run? No exception? 4 Wealth maketh many friends; but the poor is separated from his neighbour. Is it always true that the poor is separated from his neighbor? No exception? 6 Many will intreat the favour of the prince: and every man is a friend to him that giveth gifts. Is every man a friend to him who gives gifts? No exception? 7 All the brethren of the poor do hate him: how much more do his friends go far from him? he pursueth them with words, yet they are wanting to him. Do all the brethren of the poor always hate him? No exception? And do his friends also go far from him – always with no exception? Is it always true that an idel soul shall suffer hunger? No exception? It looks like it’s a choice to keep the commandments in order for us to keep our souls, unless we choose to despise God’s ways and therefore die. Do you always beat your son physically, and do you always make sure to keep on doing so even if he cries and beg for mercy? No exception? This is what righteous people always do with no exception? Sounds like there is an option to hear and receive instructions, and that it always leads to being wise. Is is always true that the fear of the Lord prevents evil from happening to him? No exception under the sun? Is this to be taken literally? 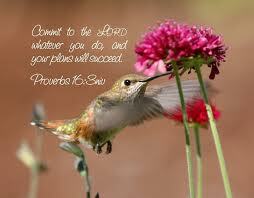 Proverbs 16:33 The lot is cast into the lap; but the whole disposing thereof is of the Lord. God is capable of determining the outcome of any casted lot, but this doesn’t mean God predestines every single throw of a dice under the sun in every single monopoly game. Many scholars think that the Ephod, Urim and Thummim were objects of divination like flat coins or dice in which the priest or king prayed for God manipulate the objects to reveal his will, but this doesn’t mean that every roll of the dice and every lot cast in every gambling game are manipulated and determined by God. God has an ability to intervene into random lots cast (or in man’s life in general) but such intervention is connected to situations where God has a specific course in mind. 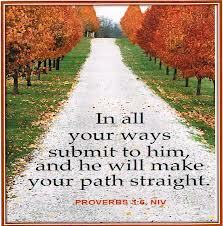 Proverbs 16:9 A man’s heart deviseth his way: but the Lord directeth his steps. Proverbs 3:5 Trust in the Lord with all thine heart; and lean not unto thine own understanding.6 IN ALL THY WAYS ACKNOWLEDGE HIM, and he shall direct thy paths.7 Be not wise in thine own eyes: fear the Lord, and DEPART FROM EVIL. Proverbs 4:10 Hear, O my son, and receive my sayings; and the years of thy life shall be many.11 I have taught thee in the way of wisdom; I have led thee in right paths.12 When thou goest, thy steps shall not be straitened; and when thou runnest, thou shalt not stumble.13 TAKE FAST HOLD OF INSTRUCTION ; let her not go: keep her; for she is thy life.14 Enter not into the path of the wicked, and go not in the way of evil men.15 Avoid it, pass not by it, turn from it, and pass away. Psalms 37:23 The steps of a GOOD MAN are ordered by the Lord: and he delighteth in his way.—30 The mouth of the righteous speaketh wisdom, and his tongue talketh of judgment.31 The law of his God is in his heart; none of his steps shall slide. Man has desires and can plan the means to achieve them, but we are dependent on God. We should seek him so he can lead us right. We can’t take Proverbs 16:9 to mean that God dictates each of our actions, because that would make him the author of sin. We would then be able to blame each of our sins on GOD ALONE. That is not the God of the Bible. Abraham devised a way to seek a wife for Isaac, and the servant met Rebekah. Jacob devised a way to flee from Esau, and the Lord blessed him to become rich with a large family. Joseph chose to be righteous, and the Lord directed his steps to Egypt’s throne. Jesse devised a way to send food to his sons in the army, by his youngest son David, not knowing that God was directing David’s steps for a showdown with Goliath. The fact that God can direct our steps, doesn’t mean that we don’t have a free will. The fact that God is always in control, doesn’t mean that he doesn’t allow us the freedom to accept/reject and obey/disobey. This is applicable also for Proverbs 16:33. We simply should not take a poetic verse out of context and make a doctrine out of it, contrary to the rest of the Scripture. God does not predestine us to sin, and that’s that. Prov. 16:12 It is an abomination to kings to commit wickedness: for the throne is established by righteousness. 13Righteous lips are the delight of kings; and they love him that speaketh right. — 17The highway of the upright is to depart from evil: he that keepeth his way preserveth his soul. 18Pride goeth before destruction, and an haughty spirit before a fall. — 20He that handleth a matter wisely shall find good: and whoso trusteth in the LORD, happy is he.— 23The heart of the wise teacheth his mouth, and addeth learning to his lips. —25There is a way that seemeth right unto a man, but the end thereof are the ways of death.— 27An ungodly man diggeth up evil: and in his lips there is as a burning fire. 28A froward man soweth strife: and a whisperer separateth chief friends. 29A violent man enticeth his neighbour, and leadeth him into the way that is not good. 30He shutteth his eyes to devise froward things: moving his lips he bringeth evil to pass.— 32He that is slow to anger is better than the mighty; and he that ruleth his spirit than he that taketh a city. 33The lot is cast into the lap; but the whole disposing thereof is of the LORD. What else is Proverbs 16 saying? If all thing are predestined by God, why would he predestine something that is an abomination before him? And why punish a person who is engaged in an abomination, if it’s caused by God only because he wanted it to happen? It looks like fear of the Lord can make a person depart from evil, rather than being predestined by God to be a non-elect before the creation of the world. Is it always true that walking in the light will make even his enemies to be at peace with him? Why would God predestine wickedness and abominations? Surely they happen against his will? Is it always true that kings reach their thrones due to being righteous? It looks like it’s in our hands to preserve our souls, by means of living righteously. Would God predestine people to be proud and to have haughty spirits? What would be his reasons? If something is considered ”better” than surely God would enable this ”better” to happen, rather than closing the door for it? Is it always true that we work for ourselves? No exception? Is it always true that whisper separate chief friends? Is the solution to never ever whisper? Is it always true that a violent man entices his neighbor and leads him into bad ways? No exceptions? You can read more about Proverbs 16 here. A very popular Calvinist proof text is Proverbs 21:1 about the king whose heart is moved like the waters. Read my blog post about it here. Proverbs 1:17 Surely in vain the net is spread in the sight of any bird.18 And they lay wait for their own blood; they lurk privily for their own lives.19 So are the ways of every one that is greedy of gain; which taketh away the life of the owners thereof. It’s not always true that such is the way of those who are greedy. Loads of people are greedy and also prosperous. Proverbs 1:32 For the turning away of the simple shall slay them, and the prosperity of fools shall destroy them.33 But whoso hearkeneth unto me shall dwell safely, and shall be quiet from fear of evil. It’s not always true that he who listens to God and walk in his ways will always dwell safely and see no evil. On the contrary, many christians are persecuted for their faith and they risk death where they live. Proverbs 3:1 My son, forget not my law; but let thine heart keep my commandments:2 For length of days, and long life, and peace, shall they add to thee. It’s not always true that keeping God’s commandment is certain to produce long life on earth. Proverbs 9:10 The fear of the Lord is the beginning of wisdom: and the knowledge of the holy is understanding.11 For by me thy days shall be multiplied, and the years of thy life shall be increased. It’s not always certain that a wise and pure soul will have his days multiplied and live for a long time. On the contrary, many christians are being persecuted and killed due to their faith. It’s not always certain that a righteous soul will never go hungry. Training up a child in the way of the Lord does not guarantee that he won’t depart from it. For instance; Salomon’s own son departed from the right way. Proverbs. 22:11 He that loveth pureness of heart, for the grace of his lips the king shall be his friend. It’s not certain that the King will be his friend despite having a pure heart. Not all pure and hard working men will stand before kings, and not before evil men. Psalms and proverbs often contain poetry, songs and hyperboles, so we should be careful to not use various statements as universal truths applicable for all people everywhere at all times. It’s better to read the verses as general principles described poetically. Do you believe the following information can be applied universally? Can we really say that the below ALWAYS happens at all times with no exception? Proverbs 13:21Evil pursueth sinners: but to the righteous good shall be repayed.22Agood man leaveth an inheritance to his children’s children: and the wealth of the sinner is laid up for the just.—25The righteous eateth to the satisfying of his soul: but the belly of the wicked shall want.